The leadership of the Indigenous People of Biafra (IPOB) under Mazi Okwudili Ezenachukwu have warned other pro-Biafra groups against taking actions inimical to ‎the Biafra struggle. 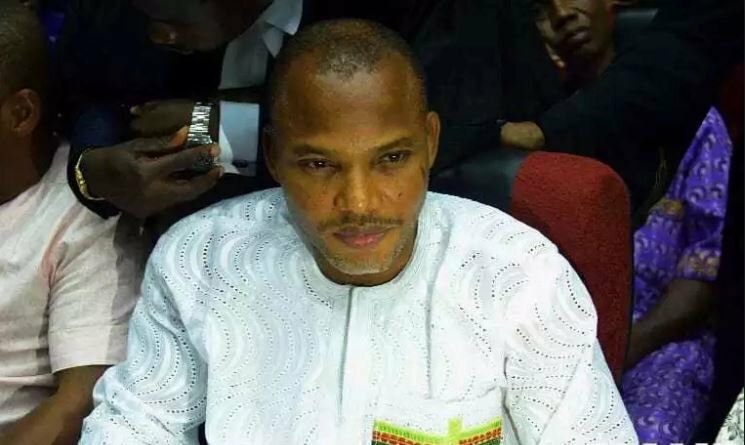 This came at a time the IPOB under Mazi Nnamdi Kanu is engaging in war of words with Gov. Okezie Ikpeazu of Abia State, with the former reacting angrily after Gov. Ikpeazu said its leader lies a lot. IPOB has been facing leadership crisis since last year culminating in Kanu being sacked by another faction last year. In a statement signed by Comrade Peter Bassy, its Director of Media and Publicity, he said‎ “pro-Biafra groups, irrespective of there status must be talking about unity of purposes and oneness in pursuit of our dream of Biafra restoration. “The era of brandishing self titles, self glorification, selfishness and self superiority which brings self destruction has gone. He added that “the journey for Biafra restoration is not only the duty of pro Biafra groups. Political, religious, traditional and opinion leaders of Eastern region, mostly the Igbos have their own roles to play even the governors. “IPOB will no longer continue to insult Igbo leaders in public; it makes Hausa Fulani people to be happy and more comfortable in discrediting Ndigbo, it also create a very huge gap between the pro Biafra groups and Igbo leaders. “We wish to clarify that IPOB will no longer insult or use hate speeches against leaders; we wish to revive our former glories which everybody appreciated. “We cannot continue to recoil on ideas and methodologies that endanger the lives and properties of our people. “We also wish to state that we don’t have problem with South-East governors, including Okezie Ikpeazu of Abia state. The group, however, urged ‎the South-East governors “to review our proscription as the new leadership under our supreme leader, Mazi okwudili Ezenachukwu is ready to partner with them and salvage all those things destroyed by the former leader Nnamdi Kanu. “We disassociate ourselves from the earlier statement credited to IPOB through Emma Powerful, who is speaking for the disappeared ex-leader, Nnamdi Kanu.